We have had no regrets about making the big investment needed in solar electricity. We wanted to live in a net zero house—one that produces more energy than it uses. And we wanted to show that even a really old house (110 years old!) on an ordinary small city lot in a really chilly city could do the trick. Solar energy had fascinated me ever since the first Earth Day in 1970. Back then, I dreamed of covering my apartment building in New York with aluminum foil—to keep the heat out. But more fascinating was the idea of capturing electricity from the sun. So when it came time to find a retirement house, first on my list was the idea of a south-facing roof. Then with the help of an architect and an engineer to put steel supports under the 1500 lbs of panels, and a green builder, we made it happen. The house in its first year (2016-2017) produced 30% more electricity than it used, offsetting some 12 tons of carbon. The geothermal heating system is wonderfully comfortable, thanks to the thick insulation and moisture barrier that surrounds the house. We have had no regrets about making the big investment needed in solar electricity. 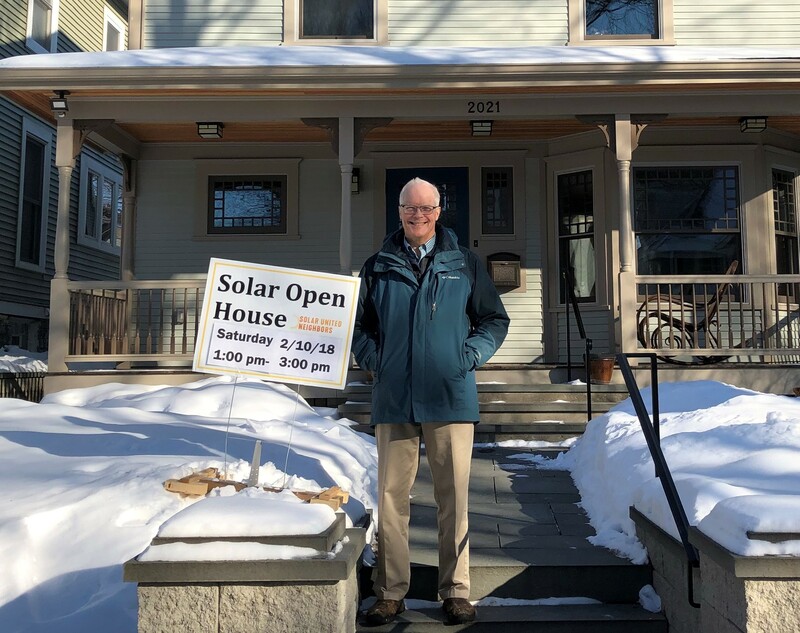 We needed only 13,000 kWh for all the needs of the all-electric house, while generating 18,000 kWhrs (and selling the excess to our local utility at 20 cents per kWhr! At this rate, the solar system should pay for itself in about 13 years. My advice? 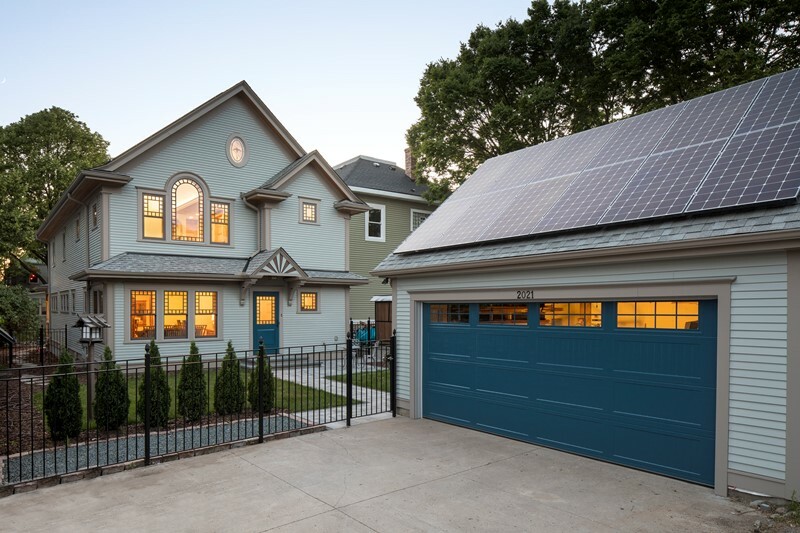 Beautify your roof with a solar system! Pile on as many collectors as you can, if you have a utility willing to buy the excess production, and if you are planning to live in your house for ten years of more. Even if our system were only half as large—8 or 9 kW—I imagine the payback would be about as quick. But beyond the bucks, I simply like to close out the day by checking out the day’s production—particularly when we produce more than we use (typically late February through September, even this far north). It’s nice to feel like part of the solution rather than part of the problem.